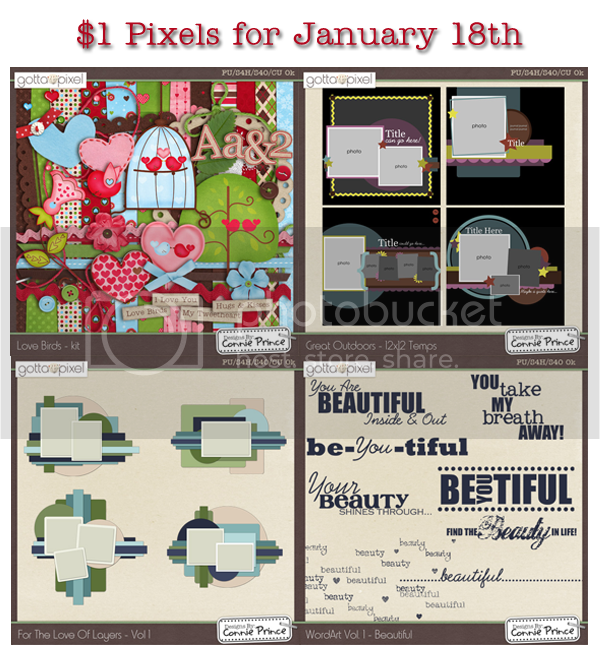 Connie Prince Digital Scrapbooking News: $1 Pixels and a matching FREEBIE! $1 Pixels and a matching FREEBIE! $1 Pixel Tuesday is here! And I hope that you've saved your pennies (okay, dimes! LOL) because Connie has FOUR fabulous $1 deals for you today. Today, you can pick up a fabulous full kit - Love Birds - for only $1!! WOOT! And there are matching templates and other goodies for only $1 each as well. You can pick up each of these amazing products for only $1 EACH right here at Gotta Pixel! Make sure you read right to the bottom so you can pick up the matching freebie that I made for you. Hope you like it! Here is a matching freebie made for YOU by ME! I hope that you like it. Absolutely LOVE this freebie that matches Love Birds! :) Already have the kit so... WHOOHOO! Thank you so much for this post. 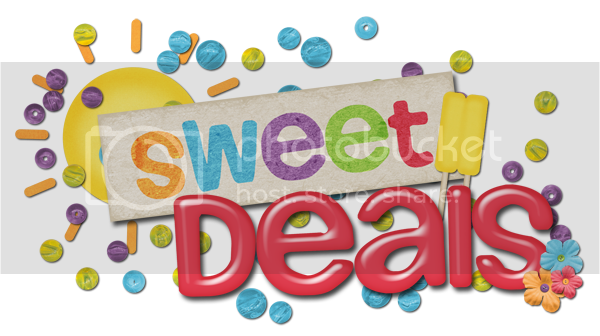 I want to let you know that I posted a link to your blog in CBH Digital Scrapbooking Freebies, under the Page 4 post on Jan. 18, 2011. Thanks again. Love your kits - this new one looks fabulous! Thanks for sharing such sweet word art!